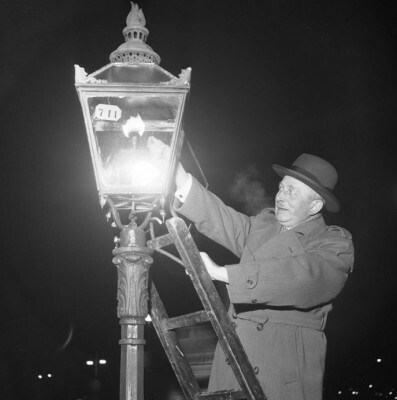 [Photos] When Was the First Traffic Light Installed? If you’ve been on the internet today, you’ve undoubtedly noticed the latest Google Doodle. Developed by Nate Swinehart, it features a line of old-timey cars race along the road as a traffic signal glows green. 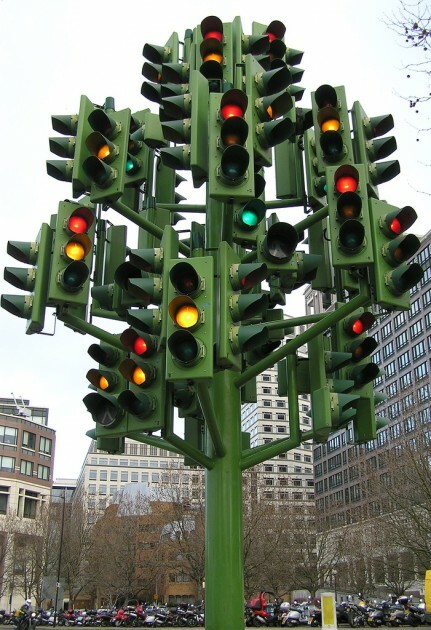 However, when a nearby traffic signal turns red, the cars stop in place. This amusing little animation is the search engine’s personal tribute to the electric traffic signal system, which turns 101 years old today. The story of how the electric traffic signal came about is a fascinating adventure in its own right. 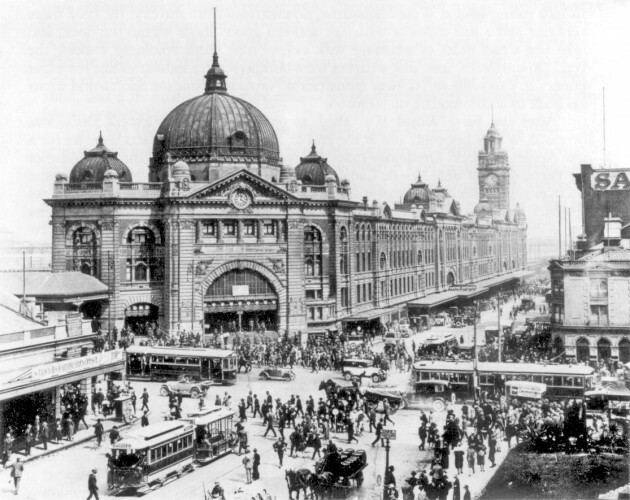 During the early years of the twentieth century, city intersections were filled with a myriad of assembled travelers. Horse-drawn wagons still dominated the streets. However, newly developed cars were catching up in numbers. In 1914, Ford was selling an average of over 20,000 cars a month. With such a diverse and complicated traffic system developing, something needed to be implemented to establish order. Initially, police officers enforced traffic rules at busy intersections. This required a constant source of police officers to man. 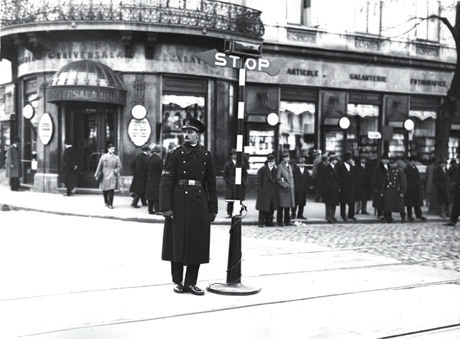 Other intersections used semaphores–poles that could be manually turned to display signs that let motorists know when to stop and go. As traffic increased and roads became busier, directing traffic became more tedious and more dangerous. Cities began looking for a more efficient way to direct traffic. In London, gas-lit stoplights began to emerge. Similarly to traffic signals, a green gaslight symbolized “go” while a red gaslight symbolized “stop”. Unfortunately, these devices tended to explode, often injuring their operator. The answer to the traffic situation was developed by a Salt Lake City Police Officer named Lester Wire. In 1912, he developed the first electric traffic light. However, Wire never secured a patent nor implemented the device. Two years later, James Hoge–a Cleveland resident–developed a system similar to Wire’s. The system relied on an operator in a booth near the intersection activating a switch that would either illuminate a red or green light. The system was an operational success, and the city of Cleveland hired the American Traffic Signal Company to implement the electric traffic signal. On August 5, 1914, the very first electric traffic signal was installed at the corner of 105th Street and Euclid Avenue. City traffic was changed forever. Upgrades were added a few years down the line. In 1920, William Potts–a Detroit policeman–introduced the yellow light. 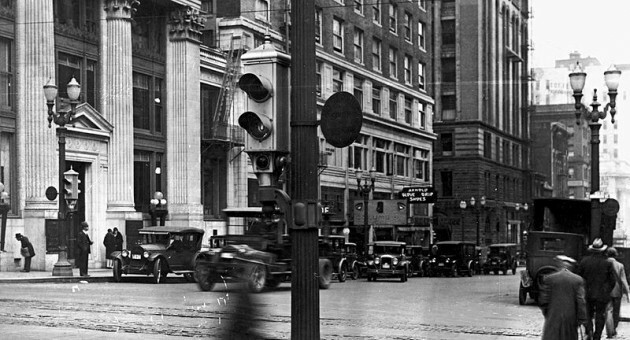 Nevertheless, the original electric traffic signal that was installed on a busy Cleveland intersection helped pave the way to the modern automobile age and the traffic system we know today.